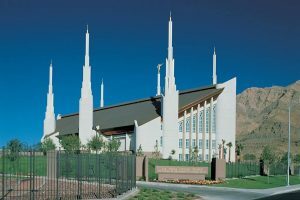 While Las Vegas is surprisingly traditional when it comes to its churches and religions, it also does not disappoint if you are looking for something different. With traditional churches and Megachurches readily available and accessible, if you want something out of the ordinary you may have to look a little harder. Christianity is the driving force behind the Las Vegas churches – but fear not, you do have other options. There are between 20 000 and 30 000 Muslims in the Las Vegas community, and there are 5 mosques spread throughout the city, with Jamai Mosque being the biggest of these. On Fridays, you will find an average of 600, and at least 30 at each of the 5 daily prayers. They have no defined members, and anyone who wants to experience a prayer can walk in. Started in the 1970s, Ner Tamid is the largest reform synagogue in Las Vegas. Its roots are based in the Union for Reform Judaism, and its members have grown to 700 families, from its starting 80, about 2500 members in total. They have a strong community outreach programme, and practice both traditional and creative worship. In its own words, Verve is a gathering for people who do not like church! The services at Verve last for 65 minutes, and shy away from traditional church services and environments. Their aim is to shed what they consider the boring and traditional and focus on finding the path to God in a fun and creative way. If you would like to experience a service before you take the plunge of actually attending one, they are all archived on their website. Tea and coffee is served before the service, and if you would like to hang around after and discuss your experience, you can head along to the Velcro Bar.